PILI, CAMARINES SUR—A convergence among government agencies in Bicol led by the Department of Agriculture (DA) is working on the development of Camarines Sur’s Partido area into a food production hub in the region. 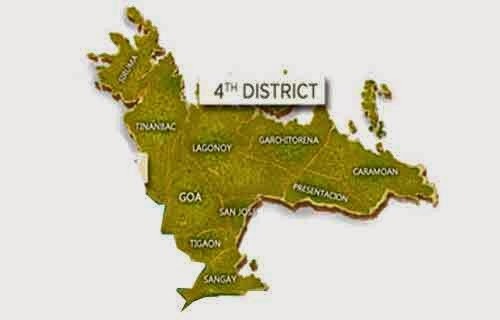 Partido is formed by a cluster of 10 municipalities—Sangay, Tigaon, San Jose, Goa, Lagonoy, Tinambac, Garchitorena, Caramoan, Presentacion and Siruma—all covered by the fourth congressional district of the province. The area is rich in natural resources but most of its about-100,000 households fall within the economic bracket called low-income earners and, according to DA Regional Executive Director Abelardo Bragas, this sector is the primary target of the convergence initiative formed by at least seven national agencies whose functions involve food security concerns. These agencies, apart from DA, are the National Irrigation Administration, Department of Trade and Industry, Department of Agrarian Reform, National Food Authority, Philippine Rice Research Institute and Cooperative Development Authority. So far, Bragas said the group has already drafted a unified food production convergence plan for the area which was done during a recent Food Summit held in Tigaon in coordination with Fourth District Rep. Felix William “Wimpy” Fuentebella. Fuentebella is the chairman of the House of Representative’s food and security committee for Bicol Recovery and Economic Development (BRED), which has jurisdiction over all matters directly and principally relating to policies and programs to promote and enhance the development of Bicol. BRED is composed of 20 members—16 representing each of the congressional districts in the region’s six provinces and four party-list representatives. The plan will be presented by Fuentebella to the BRED for approval and funding support through legislation. By targeting the low-income earners, whose number is dominant among the other economic sectors in the area, Bragas said the food production program that the convergence initiative is carrying out is designed not only towards food security but also towards raising the purchasing power of the sector and be able to contribute in addressing the province’s high poverty incidence. The Philippine Statistics Authority (PSA) listed Camarines Sur as the second among Bicol provinces with the highest rate of poverty next to Masbate. A recent report of the National Economic Development Authority (NEDA) said the province is among the top 10 contributors of poor population nationwide. Of the provinces that made it to the top 10 nationwide with the highest share in the poor population, Camarines Sur ranked No. 3 with its 3.3 percent contribution while Albay, its neighboring province, was No.10. NEDA said that of the total of 2,276,848 poor residents in Bicol, 771,984 are in Camarines Sur and 511,636 come from Albay. Bragas said the Tigaon Food Summit gathered the seven national government agencies as well as local government units (LGUs) and farmers into the mapping out of a food production convergence program aimed at achieving vertical and horizontal alignments of development plans of the national, regional and provincial development councils. And since Camarines Sur is geographically located in the central part of the Bicol peninsula -- bounded in the north by the province of Camarines Sur Norte, San Miguel Bay and the Pacific Ocean; in the south by the province of Albay; Lagonoy Gulf in the east; and in the west by Ragay Gulf -- it is the best location for a regional food production hub, he said. The Partido area is the largest cluster of municipalities in the province, described as generally hilly and mountainous with flat central area known as Bikol plain. It is generally flat at the midsection between mountain ranges, with other small coastal plains on the northeastern coast. These areas are circumscribed by rolling hills, while mangroves and nipa swamps form along its coasts. The Partido area also includes the Caramoan peninsula that covers an exotic group of islands as well as a rough and mountainous terrain with an elevation as high as 904 meters above sea level that now serves as favorite ecotourism destinations. In the Food Summit, heads of the agencies involved in the convergence program presented their development and investment plans specifically on food production, processing, marketing and security for the flatland, mountainous and coastal barangays of Partido for 2014-2016. On the part of the DA Regional Field Unit (RFU), Bragas said they presented an investment plan that includes production, postharvest, processing, marketing, training, extension, information-education-communication and farm-to-market roads interventions for the mountainous, flatland and coastal areas of the district. These cover major agricultural commodities such as rice, corn, vegetables and fruit trees including cacao and coffee which were showcased in the Summit -- particularly organically grown rice, fruits and vegetables, dark chocolates from cacao, herbs and spices in powder forms, organic seeds and planting materials.